The Villas look brand new with new roofs, windows and siding. This unit has 2 skylights in the vaulted ceilings highlighted with exposed beams. There is a sleeping loft above livingrm. The wood interior finish with beautiful rock fireplace makes this an ideal mountain retreat. The pool (summer only), tennis and clubhouse are just a short walk, plus the Lake Forest Beach or Skylandia Beach are half mile away. 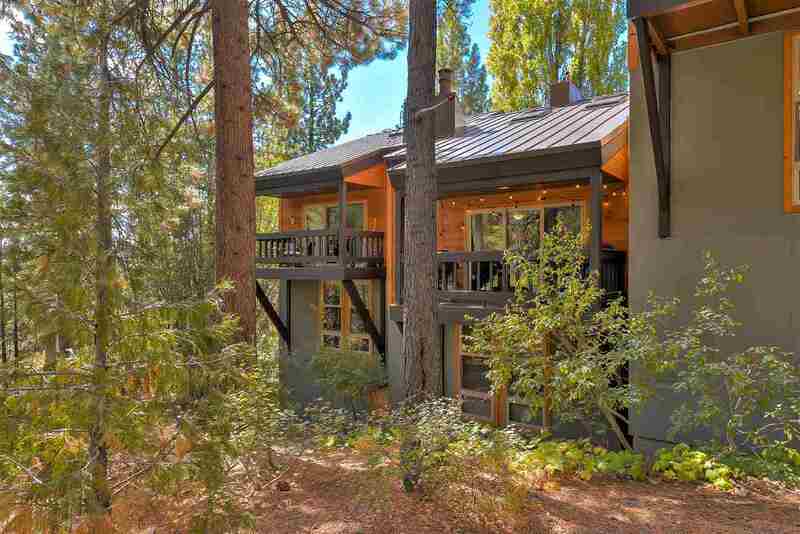 This convenient location is just a mile from Tahoe City and the bike trail is across the street.